Hyundai will launch the Kona, a small utility vehicle that slots in below the Tucson, and now The Sleuth has received word that the Korea-based automaker’s junior subsidiary, Kia, will also make available its own version for 2018. 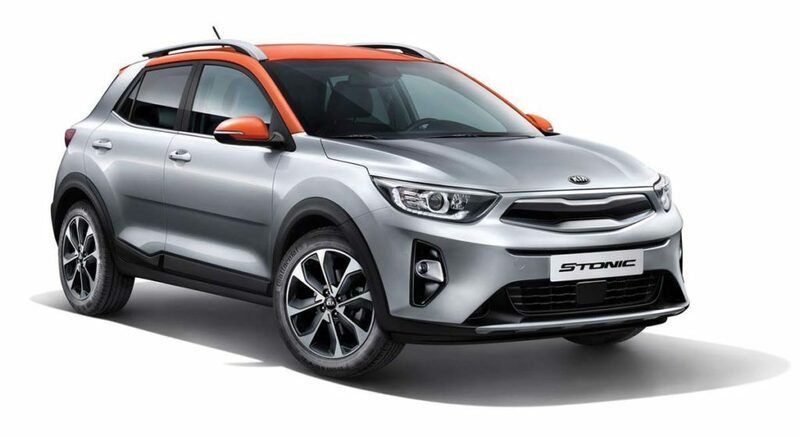 The Stonic, which is smaller than the Kia Sportage, will be built on the same platform as the Kona and come with a turbocharged 1.4-liter engine. The Stonic will look somewhat like the Kona, other than Kia’s signature ‘tiger nose’ grille. The Stonic will also provide two-tone paint finishes (possibly as many as 20 different color combinations) that provide contrast between the body and the roof and roof pillars. Since hardly any cars (the Mini Cooper comes to mind) offer two-tone paint jobs, the Stonic might be reviving a trend that was once popular in the 1950s. Does the Yuntu foreshadow a new Jeep model?